I had about a cup of taco meat leftover from last night. It was just browned ground turkey and taco seasoning. It wasn’t enough for us for lunch, but I thought it would make a great flavorful start for a soup or stew. 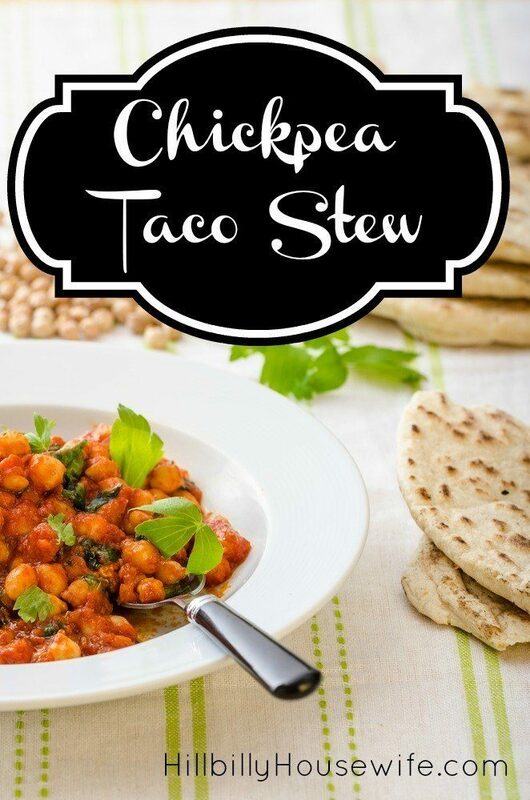 Thus Chickpea Taco Stew was invented and it turned out delicious. Add some oil to a sauce pan and put it on your stove on high. Add the chopped onion and cook it until it starts to get translucent. You could also add a little garlic if you have it on hand. When the onion is cooked add your cooked leftover taco meat. Chop up your veggies. I used two small zuccinies and cut them into thin slices. Add them to the meat and onion mixture. I also added about 1/4 cup of water to keep everything from sticking to the pot. Add the can of chickpeas with the liquid. To reduce the amount of salt in this dish, you may want to drain and rinse the peas before you add them to the pot. Add some more water to make up for the liquid you drained out of the can. Add the salsa and bring your stew to a boil. Turn it to low and allow it to simmer until your veggies are soft. I served this with some homemade tortillas on the side. I added a little sour cream and cheese to my daughter’s bowl to mellow out some of the spicyness of the salsa. If you don’t like spicy food, you can replace the salsa with canned diced tomatoes.